MSA GENERAL RULES AND CULTURE RELATING TO CLUB COMPETITIONS. MSA has a history dating back to 1975 and with this impressive history comes a set of club rules and cultures that have made the club into what it is. In the past new shooters were introduced to the club by existing members and the old members would teach the ropes to the new members. With the rapid expansion of the club after the FCA of 2000 was implemented, members joined without the usual introduction and learning phase and many of the unwritten rules and cultures have been lost. This document is intended to be a guide to the rules of club competitions in general but does not cover the rules pertaining to individual events. Club competitions are generally held on the second Saturday of each month. Competitions may be shifted due to weather or major competitions using the ranges but notice is usually given. Rained out events will either be reshot on the following Saturday or will fall away totally depending on decisions of the committee. All members taking part in the club shoots are expected to arrive at the ranges at 08h00 on the Saturday and to assist the club committee members in setting up the ranges for the shoot. No member arriving after 11h00 is permitted to take part in the shoot. And any member arriving after 11h00 will not have their scores taken into account for the day. 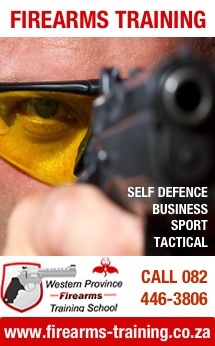 All members are expected to assist in running ranges and taking shooters through the various shoots. The members are expected to know the format of the shoot unless it has changed due committee decisions. Regardless, members should help the committee where possible in running the shoot. The shoot is finished when the last shooter has completed his shoot and members are expected to stay to the end of the days shooting to assist the committee in packing the targets and equipment away. A It is unfair on the committee and other members to have to wait for the shooter who is sighting in to finish his sighting in then come and shoot, this makes the complete shoot be delayed. B Sighting in on the day of the competition gives an unfair advantage especially in rifle events where wind plays an important role, a competitor who has learnt the wind effect would have an advantage over other shooters. C Lighting conditions on the day can make significant differences to open sights firearms and a shooter who has checked his firearm has an advantage over other shooters. Only under exceptional circumstances and at the discretion of a committee member in charge, may permission be given to a member to sight in on a competition day. Good sportsmanship is a founding principal of the club, cheating in any form is totally unacceptable. The decision of the person running the shoot is final and no arguments will be tolerated on the ranges. Scoring is done by the shooter and total honesty is expected. If a shooter is unsure how to score or where a shot falls, he should ask a senior experienced member of the club. Top competitors in the club should always ask for their target scores to be verified by a committee member or other top shooter and any queries should be referred to the shooting secretary for decisions. In all the standing events, the shooter may not rest any part of their body against a shooting bench or pole etc. the shooter should stand totally free. No shooting jackets or gloves are allowed in the standing events. Shooters and especially top shooters should never shoot plate events alone and all scores should be verified by a spotter with experience. No member should approach a committee member for normal club issues on a shooting day, the committee members are there to shoot and enjoy themselves and normal club issues should be dealt with during the week. Club shoot days are not the correct time to introduce new shooters to the club, the normal practice days are the right time for this. Once a new member has joined the club then a shooter who knows the ropes can walk him through the events. Please do not bring visitors to club shooting competitions. Light heckling( in good humour) is tolerated but abuse of the shooters is not tolerated and touching the shooter during his shoot is not allowed. OBALI CLASS ABOVE 70 YEARS OLD. A shooter falls into the class as per his age on the date of the first club shoot regardless of if he takes part or not. It is the shooters responsibility to notify the score administrator via the club secretary of his change in class. No compensators are allowed on the firearms. A shooter is allowed to load more than the 5 shots in case of malfunction but should he have too many shots on his target he will forfeit the highest scores. It is considered cheating if you know you have missed a shot to try make up an extra shot in the next volley. Scoring should be done by first counting the shots on the target to verify the correct amount and THEN assigning scores for the shots. In the case of a jam or misfire, no alibi or reshoots are given. A shooter is NOT allowed to load more than the 5 shots, in case of malfunction OR stoppage, he may ask the range officer for an alibi shot/shots. Too many shots on target will result in the highest scores being dropped. 1 No compensators are allowed on the firearms. 2 A shooter is NOT allowed to load more than the 5 shots, in case of malfunction OR stoppage, he may ask the range officer for an alibi shot/shots. ONLY ONE HAND MAY BE USED IN THE RIMFIRE EVENT EXCEPT FOR SHOOTERS IN THE PEE WEE, JUNIOR AND LADIES CLASSES WHO MAY USE A TWO HANDED HOLD. FURTHERMORE, PEE WEE SHOOTERS MAY USE A TRIPOD TYPE REST DURING THE SHOOT. A maximum of 2 minutes is allowed per set of five shots. It is considered cheating to take a hit on the stem or frame of the targets as a hit. Scoring should be done by an impartial spotter. PEE WEE SHOOTERS MAY USE A TRIPOD TYPE REST DURING THE SHOOT. Both hands may be used in this event. RULES ARE GIVEN OUT ON THE RANGE AND GENERALLY FOLLOW FITASC RULES AND THE PRINCIPALS OF SAFETY AND GOOD SPORTSMANSHIP. No super magnum calibres that damage club property are allowed. Rifle events are fluid and change from year to year . New events will not disadvantage shooters in requiring specialised equipment, if this is the case the club will provide the required equipment. Timing is as determined by the shoot format and is a mix of high stress short time and precision shooting with longer times. The scorer will determine if a shot is hit or miss. A shot touching the line is considered as a hit. A shot that is outside the target but touches the minus scoring line is scored as the minus score. No shooter may approach his target without the scoreR being present, going forward to your target without the scorer will result in zero score for the target. Shooters should stay at least 1.5 m away from the targets until the scorer is present and busy with their target. If a shooter has more shots than the required amount on the target and the extra shots cannot be explained, the shooter losses the highest scores. Only shooters in the Pee Wee , junior, ladies and obali class may use the additional rests as stipulated, all other shooters use the rests as determined by the committee for the shoot. Only spring powered air rifles are allowed, no pcp/co2 type rifles are to be used. Any open sight/peep sight may be used but no optical sights are allowed. No .20 or .22 and larger air rifles are NOT allowed in this event as they are too powerful and may damage the plates. All rules as per other silhouette events apply. Only 22 short, 22 long and 22 long rifle are allowed, no 22 magnum calibres are allowed. Any open or Peep sight may be used but no optical sights are allowed. Any air rifle with any type sighting system may be used. At this stage .177 and .22 cal air rifles compete head to head but if the committee decides that the .22 cal air rifles are offering an unfair advantage then the event will be limited to .177 cal rifles only. We strongly recommend that you rather purchase a .177 cal rifle for this event. Shooters may put up wind indicating devices between the shooting point and targets but the overriding rule is that no device may impede another shooters view of his target. There is no limit on the type of rests used as long as the front and rear rests are not joined together. No rail guns are allowed. Air cylinders should be safely stored in the shade at the back of the range and should be stored in a horizontal position to avoid accidentally being knocked over. All air cylinders brought onto the range must be properly certified and in date. Extreme caution should be exercised when refilling pcp type air rifles. All applicable rules form the above set apply to rim fire bench rest. Only 22 short, long and long rifle may be used, no magnum calibres. It is considered as cheating to shoot your rimfire event on a target at 25m.